TOMIC is celebrating Tilda's birthday this week. The challenge is to make a birthday card. To participate you have to make a girly card and follow the sketch below. 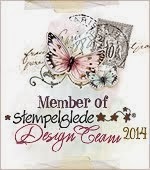 I have used the stamp Tilda with Hellebores for my card. I think the stamp is from the Magnolia 2011 christmas collection. I have used it for birthday. I googled the flowers and found out that they come in different colours, and that it wasn't christmas flowers. I have coloured mine in pink. I have also added some stickles, star dust, to the image. All the beautiful papers comes from Magnolia. I have also used four different Magnolia DooHickeys on my card. 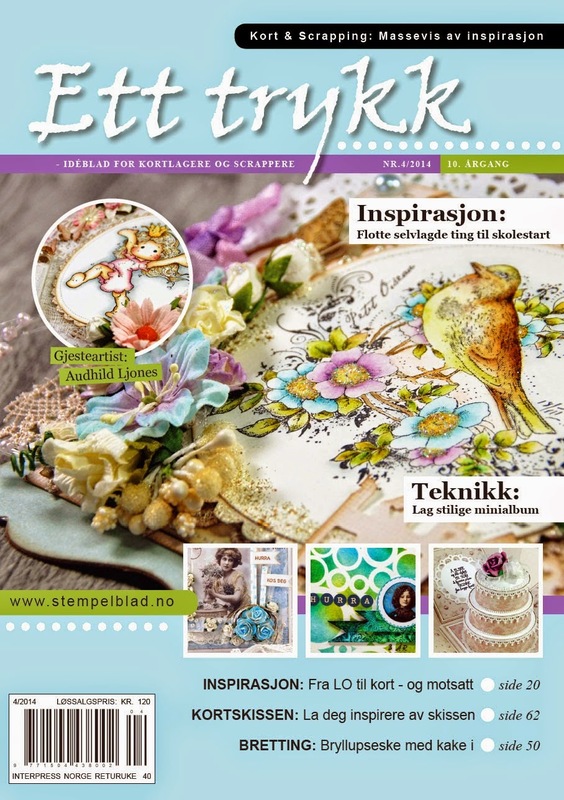 The flowers, pearls and roses are from Prima, Kort og Godt and Wild Orchid Crafts. One more picture of my card. Lagt inn av Audhild kl. 11:37:00 a.m. Stunning card.. Great colouring and gorgeous colours.. Your card is absolutely divine. beautiful Card Audhild!! I love it !! Thank you for joining Tomic this week. Helt nydelig! Jeg elsker fargene, så sart og lekkert! Siden jeg liker bloggen din veldig godt vil jeg nominere deg til : the Liebster Blog award. 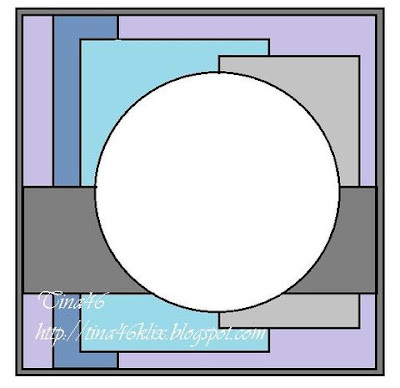 In recognition of how much I love your work I have something for you on my blog!